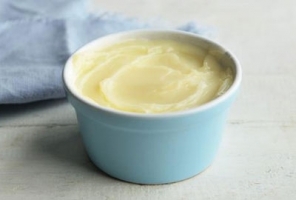 Duck fat is a decadent animal butter that makes everything taste better and which can be used for a multitude of culinary applications. From pomme frites, poached whole garlic cloves, roasted potatoes (there is nothing more glorious than fingerling potatoes roasted in duck fat with garlic and herbs, finished with sel gris), or even savory pie doughs. Its culinary uses are truly endless.